• Runs in the menu bar, showing the current geographical location of your Internet connection. • The color of the displayed location indicates the status of your VPN connection. • Clicking on the menu bar item will display an information popup. • The popup shows your external IP address, the location of that address on a map and the status of your VPN connection. • Can be automatically launched at startup of your Mac. • Works with all types of remote VPN connections. • Checks your VPN connection internally and externally. • The type of warning can be configured to be a simple notification, a modal dialog, or as a popup. • Does not interfere with your Internet connection or VPN setup. 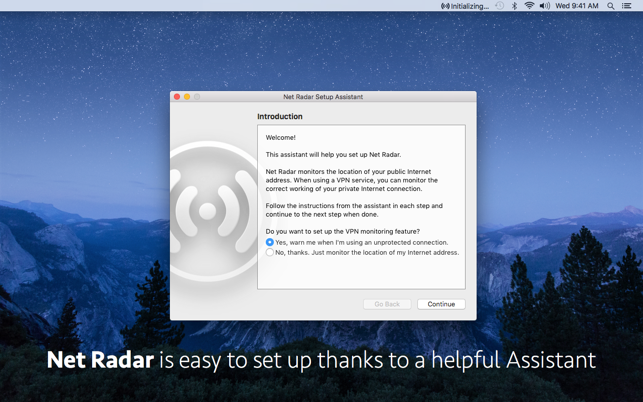 • Includes a Setup Assistant that leads you through a few simple steps to set up Net Radar. • Can also be used to just monitor the location of your public IP address, without VPN verifications. 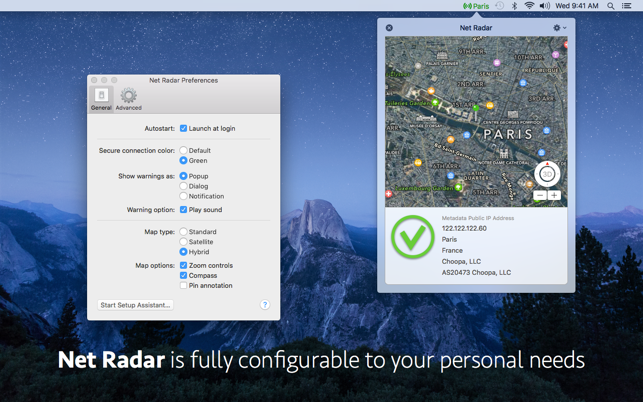 We really want to make Net Radar the best VPN monitor available. If you encounter any problems with this app, then please have a look at our support site at https://betamagic.nl/support/netradar/help.html. If this does not help you, then please contact us directly at support@betamagic.nl. • Tested with OpenVPN, PPTP, L2TP, IPSec and IKEv2. • Net Radar does not include a VPN service. 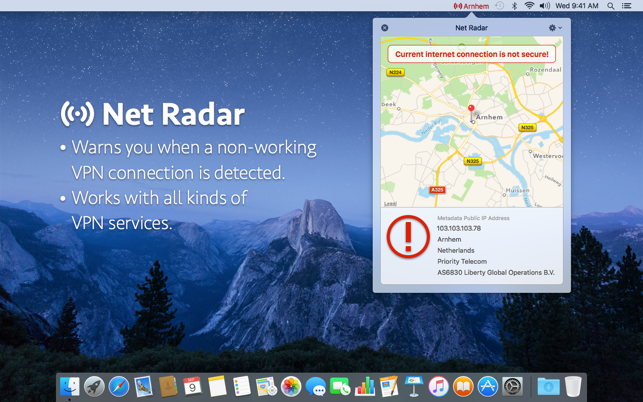 • Net Radar is not able to check whether your connection is encrypted or not. • Added support for IKEv2 VPN protocol. Great app, that does what it says. I would like to see the option to customize the menu bar display to allow only the icon instead of requiring the icon plus the city. Thank you for your review. I will add your suggestion to the backlog. 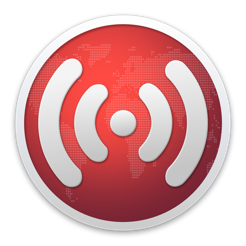 The app is simple, and monitors vpn connectivity with alerts when the connection drops. It also can test the connection at whatever second interval you want..